Provide reports of what is needed. Provide reports the specified products. Provide reports of vendors and contact information. Provide a historical report of prices. Provide a method for the ease of order placement. Inventory amounts. The more you have in inventory, the harder it is to control. Shelf life for perishables. Meat, produce and seafood will only last 2-3 days, so do not order too much of these products at a time. Excessive inventory. It ties up your cash, hindering cash flow. Extra food. Having extra food on hand tends to lead to over-portioning and is easier for theft. Inventory turnover. 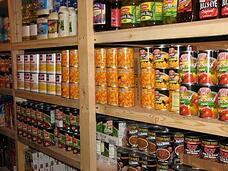 Ideally, the entire food inventory should be turned every 5-8 days. Vendors. Schedule vendor representatives visits so you are not interrupted. Standing orders. Consider placing standing orders for regularly used items. Consider using one "main vendor." If you receive most of your product from one vendor, you will spend much less time on purchasing, there will be fewer salespeople to deal with, there will be fewer deliveries each week and labor costs will be saved. You also will receive better service. As previously mentioned, most large vendors today have online ordering systems. Check trade magazines and www.foodbuy.com for rebates available from manufacturers. Join a buying group such as the one at www.foodservice.com. They have pre-negotiated man­ufacturer allowances available on over 10,000 food and food-related products from over 125 network suppliers from manufacturers like Sweetheart, Ecolab, Sara Lee and General Mills. Warehouse buying clubs. Check out warehouse buying clubs such as Sam's Club, samsclub.com, Costco, costco.com and Restaurant Depot, www. restaurantdepot. com. Cash discounts. Many purveyors provide cash discounts if payment is made early, such as "2/10, net 30." With this, a 2-percent discount may be taken if payment is made within 10 days. Cash discounts are worth taking; a restaurant that purchases $500,000 per year and takes a 2-percent discount will save $10,000. Alternatives. Don't automatically use fresh fruit and vegetables if canned alternatives can be used without cutting back on meal quality. Canned tomatoes, artichoke hearts, chili peppers, pears, etc., can all be used in many meals without a big loss in flavor, and the trade off is a big drop in price and spoilage rates.